Home › SHOULD I FILE FOR BANKRUPTCY? One of the most difficult decisions a person might have to make in life is whether or not to file for bankruptcy. Like anything, asking friends or family can often lead to bad or simply false information. Many Americans view bankruptcy as a financial scar that will negatively affect you for the rest of your life. That could not be further from the truth. Most people who file bankruptcy realize when it is over that it was the best financial decision that they ever made. Bankruptcy gives you a chance to start all over again. That’s the reason the bankruptcy laws were written. Not to punish people, but to give them a second chance. There are many reasons that people file bankruptcy, but job loss and medical debt are the two biggest reasons. Many times, the two team up against you and together give you no choice but to file bankruptcy. Health problems cause job loss, or job loss may lead to health problems. Either way, the combination of the two can lead to financial ruin and the only way out is bankruptcy. A close third is divorce, for obvious reasons. You have been sued and are facing a wage garnishment or a bank account attachment. Will stop the foreclosure and allow you to pay back the arrearage over 3 to 5 years. Using one credit card to pay off another is often a sign that you should consider bankruptcy. There are two major forms of bankruptcy. Chapter 7 bankruptcy and Chapter 13 bankruptcy. Chapter 7 bankruptcy is designed for people who truly cannot afford to pay their bills. You can file Chapter 7 even if you own a home and a car in most circumstances. To qualify, you must earn less than the median income for a family of your size in your state. The numbers change monthly, so you can Google the current numbers or call or email our office if you would like. You also have to NOT be able to sell your property and pay off your bills. If you have the ability to sell your house and pay off your bills, you would not qualify for a Chapter 7 except in circumstances such as owning the home jointly with your spouse. The other option is Chapter 13 bankruptcy. A Chapter 13 is most often used in two circumstances. The first is to stop a foreclosure and work out a payment plan to pay back the arrearage. The second is if you either earn too much money to file a Chapter 7 or if you have enough equity in real property or personal property so that you have the ability to sell your property and pay off some or all of your bills. In a Chapter 13 you will NOT lose any property, you’ll just have to pay some of your debts back. The amount you pay back depends on your income and the amount of property that you have. You cannot discharge all of your debts in bankruptcy. Student loans are currently nearly impossible to have discharged in bankruptcy. As of 2018 the only way a student loan can be discharged is to show extreme financial hardship. Extreme financial hardship has been defined as literally having no income to pay your debts and no property to sell to pay your debts. And if that is the case, there is really no point in filing anyway because they can’t touch you. Remember, in the United States you cannot go to jail for failing to pay a debt. All a creditor can do is garnish wages, attach a bankruptcy, try and force a sale of property and report you to the three credit reporting companies. 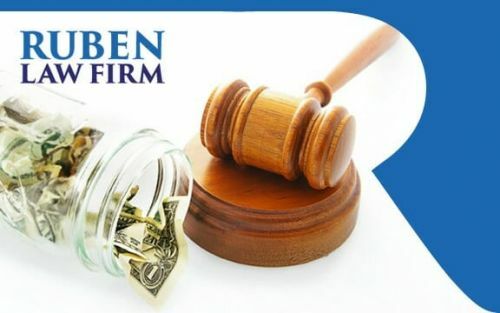 Other debts that you cannot discharge in bankruptcy are child support, alimony, CERTAIN RECENT income taxes, most debts to government agencies, debts for personal injuries caused by drunk driving, and court fines and penalties, including EZ Pass fines. Federal and State Income Tax Debts are dischargeable if the taxes became due more than three years before you file AND you filed your taxes for those particular years more than two years before filing. This can be complicated and confusing, so call us if you have any questions. The best way to determine if you should file or bankruptcy or not is to call or email our office so that we can discuss your situation. There are no two situations that are exactly alike and only a bankruptcy attorney and bankruptcy professional will be able to tell you if bankruptcy is the right thing for you. Usually it only takes about 5 minutes on the phone for an attorney in my office to determine if it is the right thing to do. We can give you the pros and cons either in the office or over the phone or email for free, so you have nothing to lose by reaching out to us. Our telephone number is (410) 766-4044 and email is david@rubenlaw.com. We are available 24 hours a day and ALWAYS respond very quickly. We offer free consultations for bankruptcy cases. We look forward to hearing from you.